The Cold War was one of the most significant events of the 20th century as it involved the United States and the Soviet Union facing off against each other in several different ways. While the Cold War saw the two superpowers compete each other for military, political and economic superiority, it also involved the two countries participating in a competition for prestige. This 'prestige race' saw the two nations try to outdo each other in all aspects of society, including scientific and technological advancements. The most obvious example of this 'prestige race' in relation to technology was the space race, in which the two countries competed in the field of space exploration. The space race between the United States and the Soviet Union occurred from the 1950's until the 1970's. During this time, each nation spent millions of dollars developing their own space programs, including: rockets, satellites, astronauts and carrying out space missions. As each nation carried out their space achievements, they would utilize them as propaganda in order to project their own ideology. Also, the space race caused each nation to push each other as they competed to out do the other in terms of their achievements. In all, the space race unfolded as a series of major events. What follows below in a basic timeline of several of these major events. 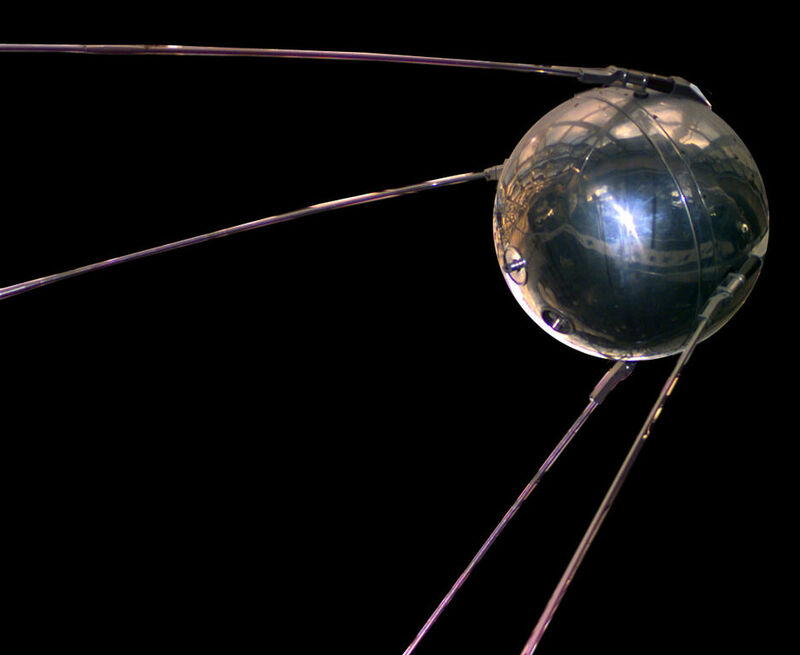 The first major event of the space race was on October 4th, 1957 when the Soviet Union launched the first satellite into space, called Sputnik 1. The satellite was a polished metal sphere with four antennas and provided scientists with information about the density of the upper atmosphere. The launch of Sputnik 1 was shocking to the United States as it showed the Soviet Union was more advanced in its space program. Many historians now look at the launch of the satellite as the event that sparked the space race between the two superpowers, as the United States attempted to catch up to the Soviet Union. The next major event of the space race was the launch of Sputnik 2 on November 3rd, 1957 by the Soviet Union. 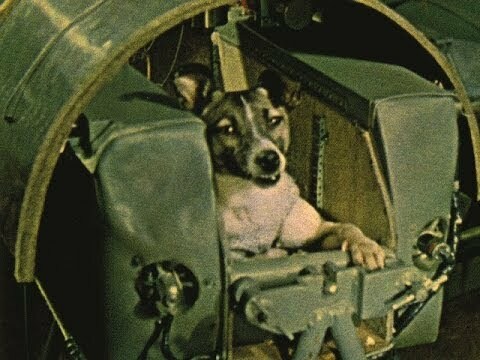 It was only the second craft launched into space and is notable for carrying the first living thing into space: a dog named Laika. The satellite was a cone shaped capsule that measured solar radiation and transmitted the data back to earth for scientists to analyze. Again, the Soviet Union displayed that it was ahead of the United States. 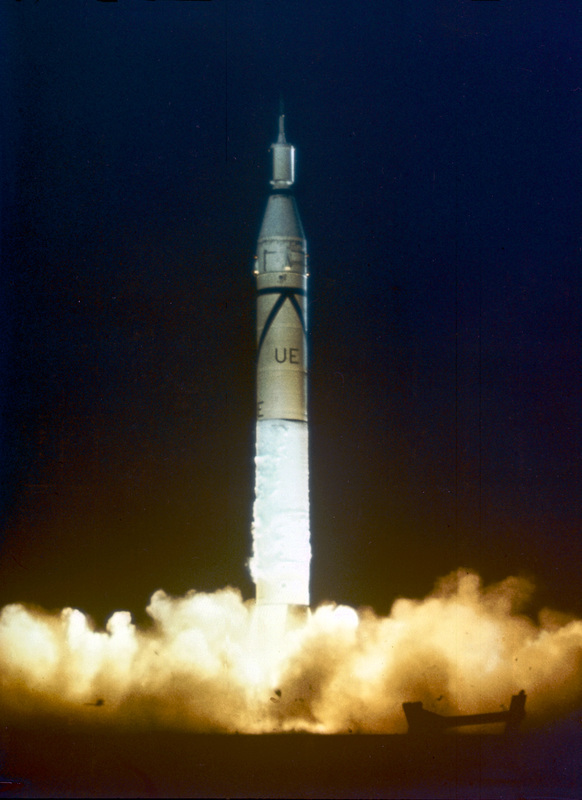 The United States responded on January 31st, 1958 when when it launched its first satellite called Explorer 1. The satellite was significant because it showed the United States' place in the space race, and it also provided new scientific data. For example, Explorer 1 was able to detect the Van Allen radiation belt which surrounds the earth. The United States attempted to follow up the success of Explorer 1 with the launch of a second satellite, Explorer 2, on March 5th, 1958. However, the launch was a failure when the rocket failed to fully ignite and the satellite failed to reach orbit. The United States returned to space on March 17th, 1958 when it launched the Vanguard 1 satellite. It was the fourth satellite launched into space and the second American satellite. The Vanguard 1 was significant for several reasons, including: it was a successful launch after the failure of the Explorer 2 rocket, it was a the first solar powered satellite, and it remains the oldest man-made satellite still in space. After the successful launch of the Vanguard 1, the United States next created its government run space program called the National Aeronautics and Space Administration (NASA) on October 1st, 1958. NASA would be responsible for carrying out all of the elements of the American space program, including: developing rockets, training astronauts and carrying out space missions. NASA would play an important role in the space race and today remains the world leader in space exploration. ​​Next, the Soviet Union took a leap forward when on it launched the first man into space on April 12th, 1961. 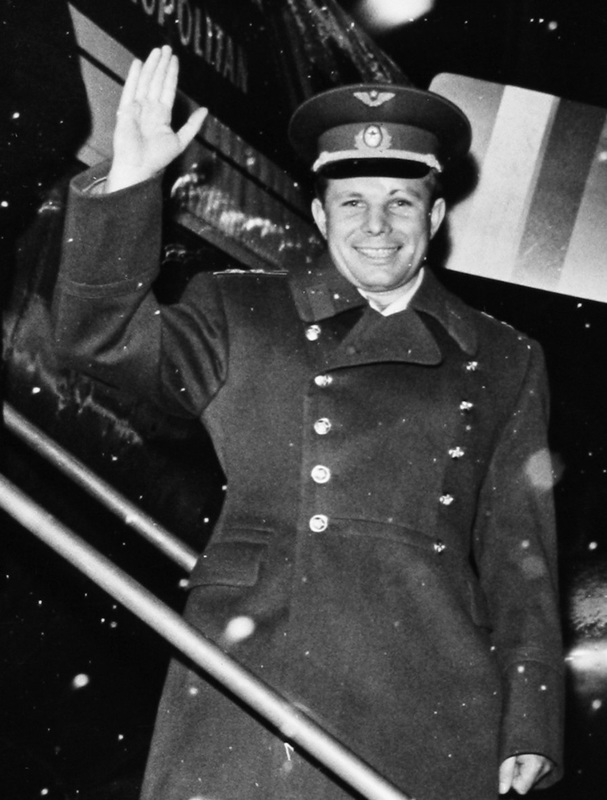 Soviet cosmonaut Yuri Gagarin was launched into space and orbited the earth for a short time. Once his craft descended far enough he ejected and parachuted back to earth. Gagarin's flight into space showed that the Soviet Union was still leading the space race ahead of the United States. The United States responded to the achievement of Gagarin and the Soviet Union by launching its own man into space on May 5th, 1961. 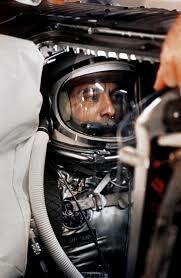 American astronaut Alan Shepard was the first American in space and spent just over 15 minutes in flight aboard the Freedom 7. 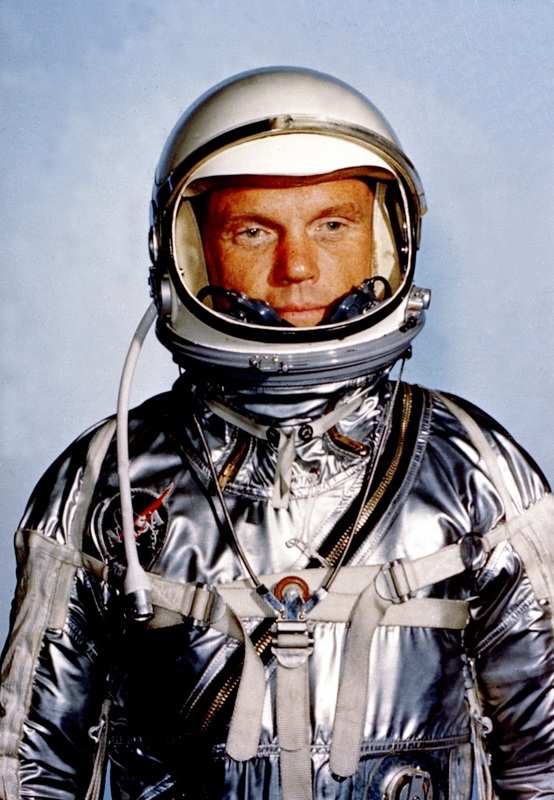 Next, on February 20th of 1962, American John Glenn became the first American to orbit the earth. He circled the earth 3 times in nearly 5 hours. As well, the American space program began to continue its advancements in space exploration when President John F. Kennedy challenged the nation to go to the moon before the end of the 1960's. 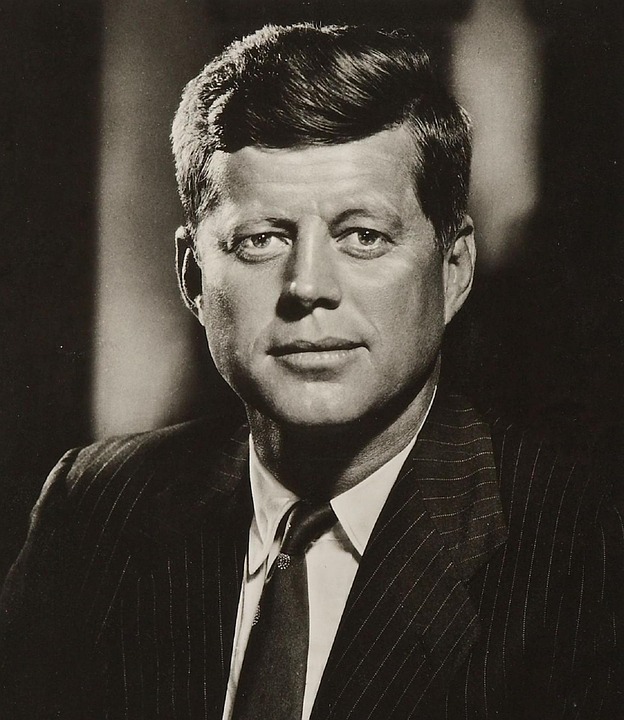 In his famous speech, Kennedy stated: "We choose to go to the moon. We choose to go to the moon in this decade, and do the other things – not because they are easy, but because they are hard. Because that goal will serve to organize and measure the best of our energies and skills. Because that challenge is one that we are willing to accept, one we are unwilling to postpone, and one which we intend to win". The achievements of Shepard and Glenn and the call to action by Kennedy, showed that the United States was committed to winning the space race against the Soviet Union. The victory of the space race had also been set; the rest of the 1960's would see the United States and the Soviet Union race to be the first nation to the moon. Throughout the mid-1960's the Soviet Union achieved another string of firsts in space exploration. First, on June 16th, 1963 launched the first woman into space. Soviet cosmonaut, Valentina Tereshkova went into space aboard Vostok 6 and spent 3 days alone in orbit. Next, on March 18th, 1965, the Soviet Union achieved the first space walk. Cosmonaut Alexei Leonov was outside of the Voshkod 2 spacecraft just over 12 minutes and was connected by a 5 meter tether. However, these Soviet accomplishments were no match for the American achievement on July 20th, 1969. 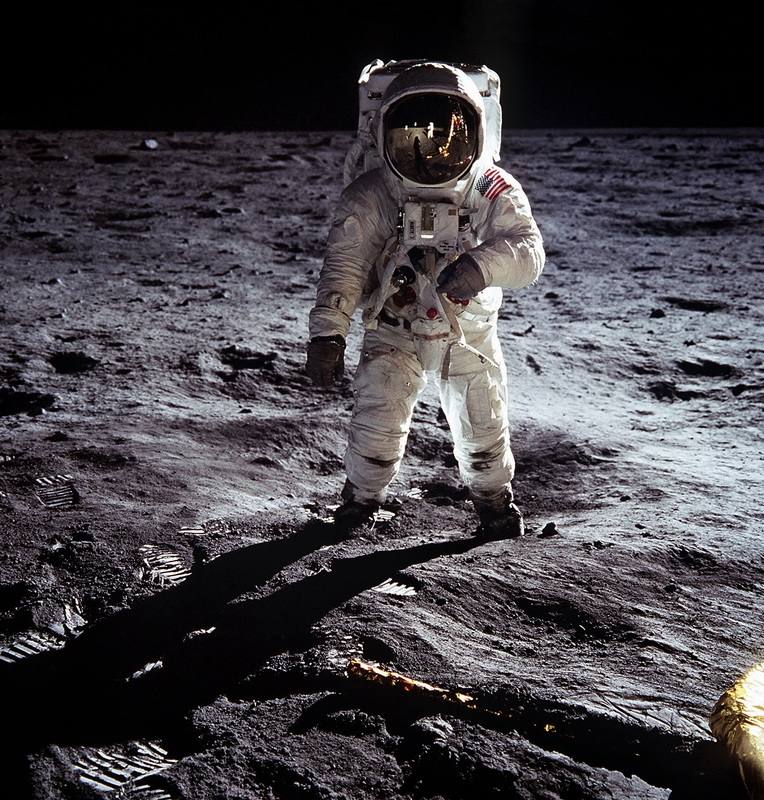 Buzz Aldrin on the surface of the moon. ​American astronauts Neil Armstrong and Buzz Aldrin made history when they landed on the surface of the moon on July 20th, 1969, as part of the Apollo 11 mission. 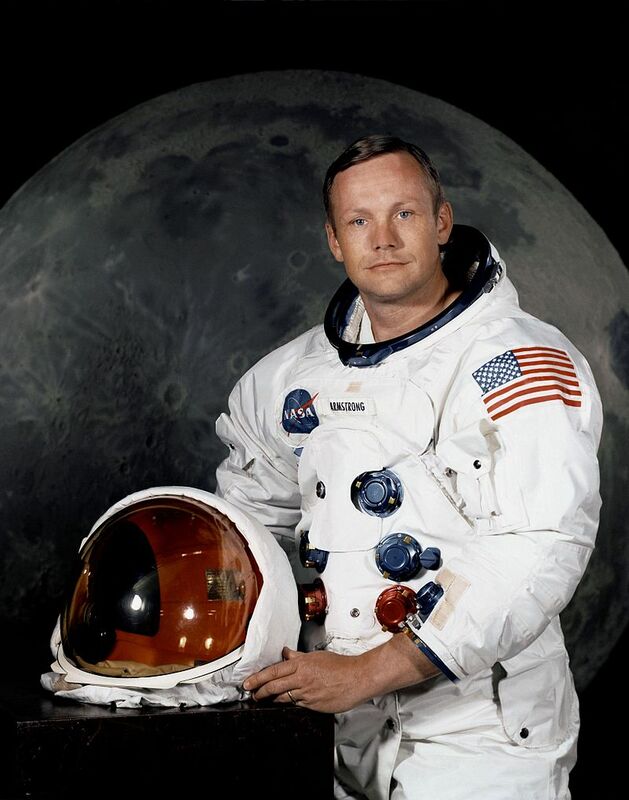 Neil Armstrong was the first man to walk on the moon and famously stated "one small step for man, one giant leap for mankind" just after taking his first steps. 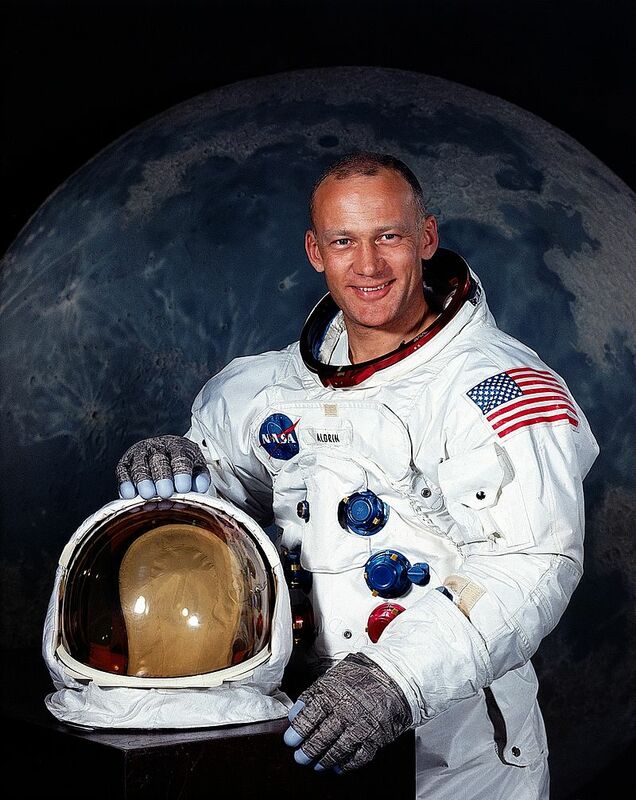 He and Aldrin spent approximately 2 and a half hours on the surface collecting samples of lunar material. The American moon landing was an incredibly significant event when it occurred. It captured the attention of the world when it took place with millions watching the landing live on television. As well, the landing fulfilled the challenge by John F. Kennedy earlier in the decade, that the United States should land astronauts on the moon before the end of the decade, even though he was not alive to see the accomplishment. Finally, and most importantly, the American moon landing is viewed as the symbolic end of the space race. The United States would return to the moon several times on later missions while the Soviet Union would never reach the lunar surface. The space race was over.